A keyboard is the main weapon for computer games. So, you should always get a good gaming keyboard for better gaming performance. 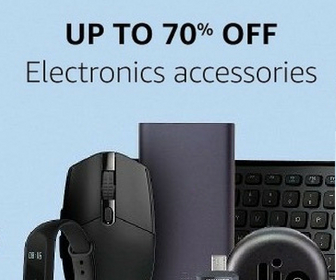 Gaming keyboards start as low as Rs. 500 and goes to as high as Rs. 50000. So, the budget is an important factor along with features. Gaming keyboard offers good response time, RGB color lighting and good looks. It should also be comfortable so that you can use it for long gaming sessions. If you are a gamer and looking for a good gaming keyboard, you are in the right place. 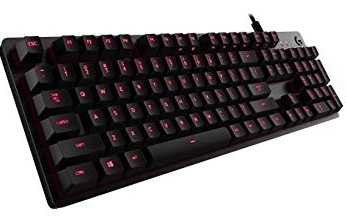 In this article, I am putting the best gaming keyboard under Rs. 5000. These gaming keyboards are good for gaming. Logitech G413 is a good keyboard with comfortable key switches. It has a sleek design and nice performance. This is a mechanical gaming keyboard with aluminum alloy top case. It also features a game mode that allows you to deactivate the Windows key while gaming. It also has 12 programmable function keys that you can customize depending on your need. When we talk about gaming accessories, Razer is the name that comes first in the mind. Razer Cynosa Chroma is a notable gaming keyboard that not just perform good but look interesting. It has a Spill-Resistant design that can withstand accidental spills. It has smooth soft cushioned gaming keys. It has 104 backlit keys with 10 key roll-overs with anti-ghosting. 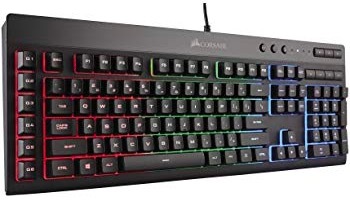 Corsair K55 is also a good gaming keyboard offering nice gaming experience. It weighs 0.82 KG. It is a wired keyboard. Corsair K55 has three-zone dynamic RGB backlighting with 10+ preconfigured vivid RGB lighting modes. It also has 6 programmable macro keys. It has dedicated volume and multimedia controls. It also features the Windows Key lock mode that disables windows key while gaming. So, it ensures interruption-free gaming. You can adjust the keyboard for the comfortable gaming experience. MSI Vigor is another good gaming keyboard you should not miss. It has spill-proof design that makes it durable. It has special membrane switches offering mechanical feels. It also has 6-region RGB illumination with 8 light effects. It also features ergonomically designed wrist rest. Asus Cerberus is also a good gaming keyboard. It has spill-proof design that makes it water resistant. It is made of Full SECC metal plate and features rubberized feet. It has a unique design that makes it attractive. It also has multimedia keys. There are 2 colors buttons for 4-level light settings. These were the best gaming keyboard that you can buy in less than Rs. 5000. 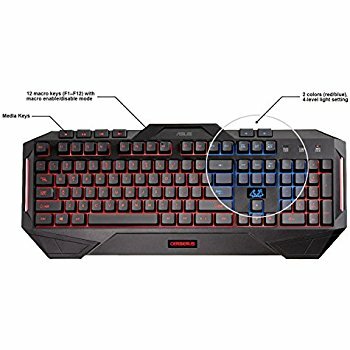 You can select any of these gaming keyboards to have a good gaming experience. I will keep on updating this list with all new entries. So, you can always come back to check what are the best gaming keyboards in 5000 INR.